For organizations paving the way for the new 802.11ac Wave 2 standard, the Cisco Aironet 2800 Series is the perfect solution. The access points go beyond getting ready for the new standard, providing the ultimate in flexibility and versatility. For large enterprise organizations that rely on Wi-Fi to engage with customers, the 2800 Series is a hands-off product that’s intelligent enough to make decisions based on end-device activities and usage. This automation allows you to devote time to other pressing matters, secure in the knowledge that your Wi-Fi network is performing to its utmost potential. 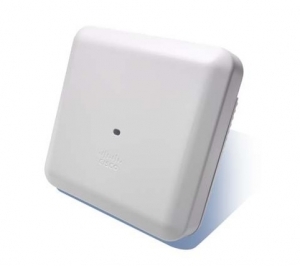 The Aironet 2800 Series is packed with the features and capabilities that have made Cisco the industry leader, at a price point that is ideal for managing wireless growth, capacity, and coverage gaps in dense indoor environments. We are a Cisco Select Partner. Contact us if you need help with your Cisco solution.